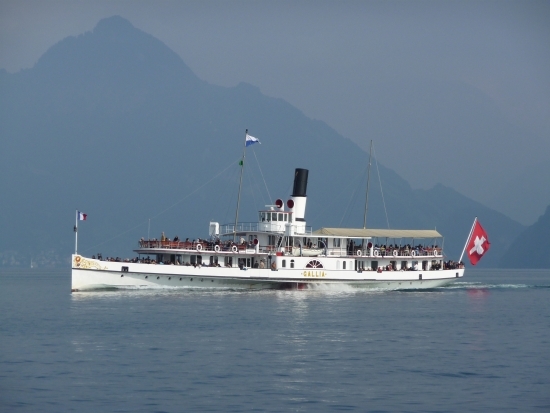 (PS Gallia) Swiss (& Italian) Lake Paddle Steamer Sailings Cruise Timetables for Brienz, Geneva, Luzern, Thun, Zurich, Konstanz and Maggiore, Como and Garda giving latest news, fleet lists, features, archives, pictures and loads more! 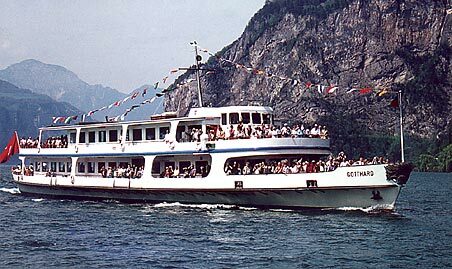 Do you have any further information why PS Gallia was unable to sail as initially advertised ? 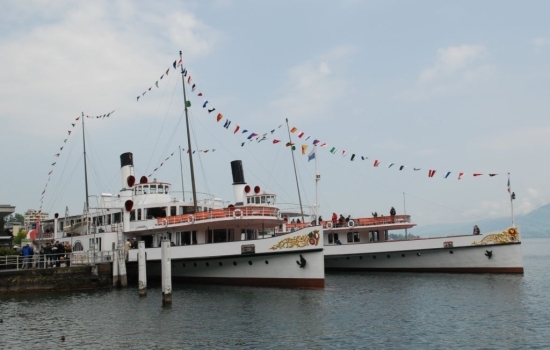 Took part in the special evening Parade by all five paddle steamers from Luzern on Saturday 13th May to mark the entry into service of the new motor vessel "MS2017"
Consequently Sunday 23rd September was the last opportunity to sail on PS Gallia before 2004 ! First public sailing of 2000 on Saturday 15th April "Steamer Parade"
First public sailing of 1994 on Saturday 30th April "Steamer Parade"